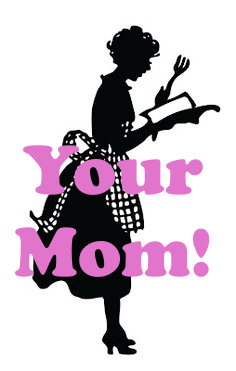 And today we bring you the latest installment of Your Mom! Which we may have to expand to Your Parents! or Your Other Blood or Chosen Family Members Who Bring You Both Embarassment and Joy! because my father is hilarious, very sweet, and won’t stop emailing us both about the demons. 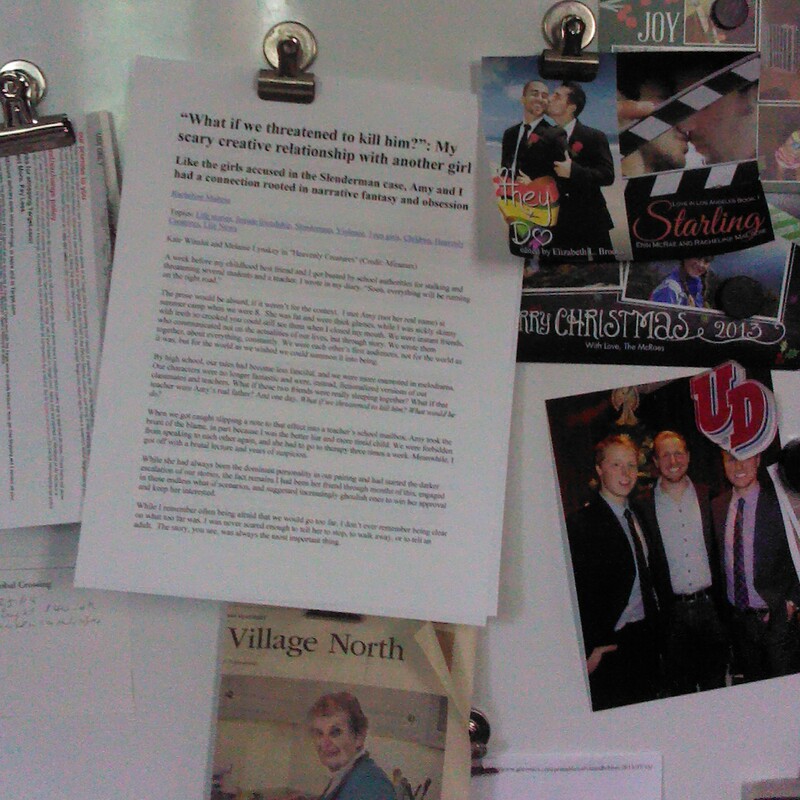 Yup, that’s my parents’ fridge. And yup, those are our covers for “Lake Effect” (which comes out on the 18th from Torquere!) and Starling. Racheline’s piece from Salon is up there, too! So I’ll leave you with that thought. That, and a note that, no matter how old you are, you’re never too old to have a glow of little-kid pride that your work is up on the fridge. Even when it’s a fingerpainting. This entry was posted in Demons, Lake Effect, Love in Los Angeles, Starling, Writing, Your Mom and tagged demons, Lake Effect, Love in Los Angeles books, Starling, Writing, your mom. Bookmark the permalink. Everything about this is fantastic.